Enjoy comfort at the Holiday Inn Express Hotel & Suites Fort Worth. Located at Western Center, this location provides easy access to DFW International Airport, Alliance Airport and Meacham Airport for your transportation convenience. 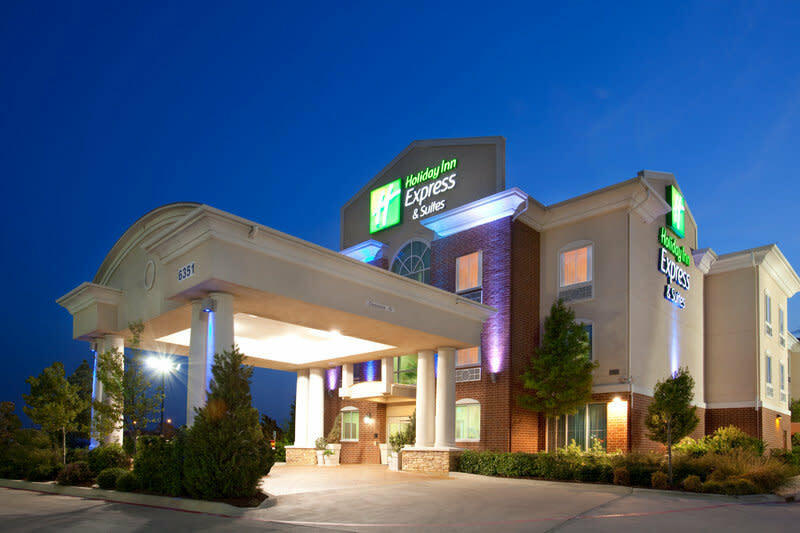 Families and business travelers looking for quality lodging in Fort Worth will love staying at this hotel, located off I-35W and Western Center Boulevard. Additional Guestroom Information: Service Animals Allowed; Pet Walking Area On-site; Pet Fee per Night: 25 USD We welcome domestic pets weighing 35 lbs or less with 25.00 USD per day non refundable fee. Max 2 pets per room; must register pet upon arrival and sign pet policy form. Comments: Conveniently located right off Highway I-35. Space Notes For your gathering convenience, this hotel in Fort Worth provides flexible event space for up to 75 people, including a boardroom and a large meeting room. Audio/visual equipment and free high-speed Internet access are available as well. Food is allowed to be brought in for no additional cost to serve your party from outside sources too.